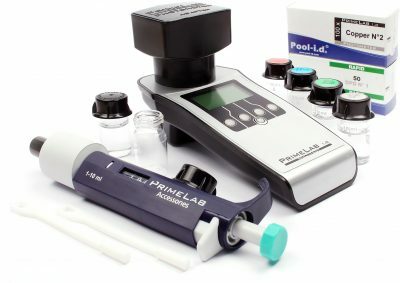 Test Kit comes with high-quality Primelab photometer for high accuracy. Additional tests are performed by dropper titration and a combined pH, TDS and Conductivity Meter. 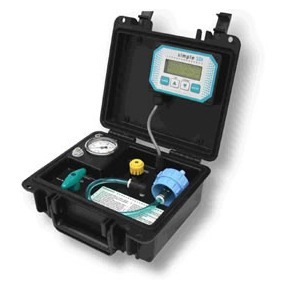 Accepta’s high performance, multi-use engineering test kit with additional Primelab Photometer has been specially developed for engineers, water treatment professionals; and building services and facilities management specialists involved in the maintenance and management of boilers, cooling and closed water systems. 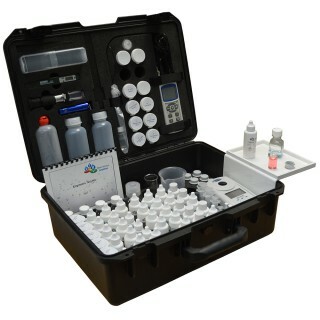 Accepta’s professional multi-parameter water quality analysis testing kit will allow engineers to perform quick and accurate in-field testing and analysis procedures for an extensive range of important system parameters including conductivity, TDS, pH, alkalinity, bromine, chlorine, hardness, iron, molybdate and more. Water systems require careful test monitoring to ensure the correct risk management regimes and water treatment programmes are maintained at all times. Failure to maintain the correct water system conditions can lead to serious problems, including reduced system efficiency, the build-up of scale, potentially damaging corrosive water conditions, and increased microbiological activity, which may result in the proliferation of Legionella bacteria and the increased risks associated with Legionnaires’ disease. 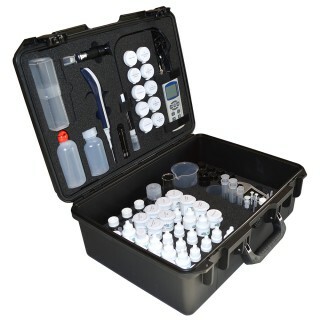 Accepta’s comprehensive “combined” test kit has been developed as a complete kit, specifically for engineers and water treatment professionals involved with the maintenance and management of cooling water, boiler water systems and closed systems. 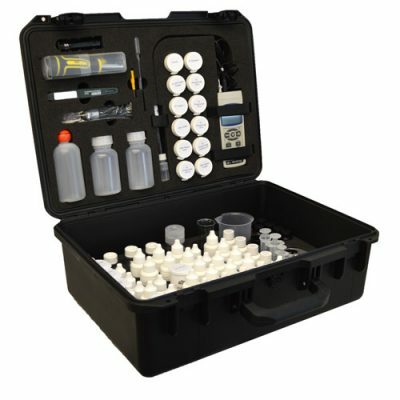 The kit is presented in its own robust carry-case and includes all the equipment and reagents necessary to perform between 100 and 200 tests required to effectively test and monitor boiler, cooling and closed system waters to ensure optimum operating conditions are achieved and maintained. If you require additional information or specialist technical support concerning our professional multi-parameter engineer’s test kits please contact Accepta’s technical support team.